Mouthpiece, Kieran Hurley's gripping, provocative and critically acclaimed smash-hit exploring issues of class and culture, will transfer to Soho Theatre in April. Following hot on the heels of a sold-out world premiere run as the centrepiece of the Traverse's Autumn/Winter 2018 season, the transfer sees playwright Kieran Hurley return to Soho Theatre for the first time following his successful debut show Beats. 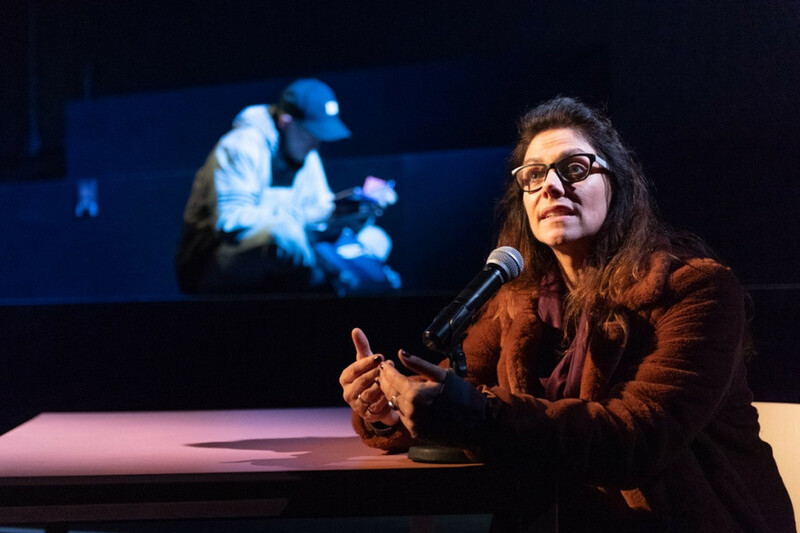 Produced in association with HighTide, and directed by the Traverse's former Artistic Director Orla O'Loughlin, Mouthpiece is an unexpected, darkly comic and at times shocking story of two unlikely lives intertwined. Reprising their roles will be Neve McIntosh (Libby) and Lorn Macdonald (Declan). Libby whiles away her days in New Town cafés and still calls herself a writer - but she's not put pen to page for years. Declan is a talented young artist struggling with a volatile home life on the outskirts of the city. As the two form an uneasy relationship, complicated by class and culture, Libby spots an opportunity to put her writing career back on track, and tell a story that really matters - Declan's story. It's a deeply personal look at the different Edinburghs which often exist in ignorance of one another, and examines whether it's possible to tell someone else's story without exploiting them along the way. A resounding hit amongst audiences and critics alike, the production received a glowing set of five-star reviews and sparked lively debate, with The Stage calling it 'a strong contender for Scotland's best play of 2018' that is 'gripping, truthful and engaged in a live ongoing discussion about the very purpose of theatre', while The Skinny praised the performances as being 'utterly captivating' and The National hailed it as 'sharp and voracious, with plenty to say '.